Content Delivery Networks (CDNs) for widely used resources are a boost for the performance of websites. 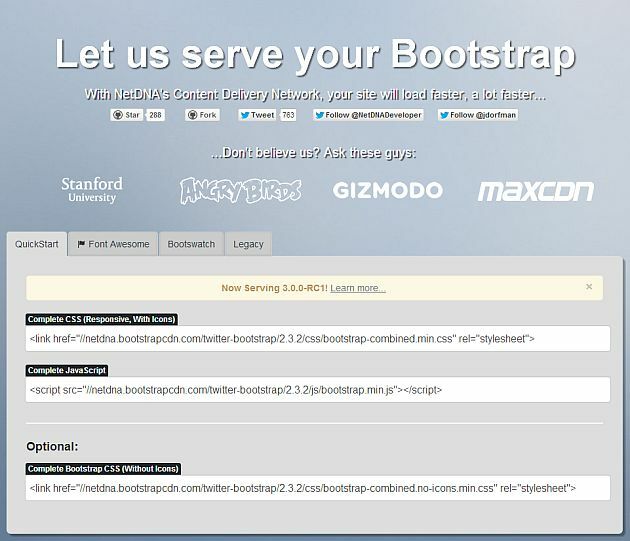 One such resource is (Twitter) Bootstrap – a widely used front end framework. Celebrating his first year of existence, the service provides reliable hosting not only for the framework itself (including the up-to-come version 3.0 RC1), but also associated products like Font Awesome and Bootswatch.